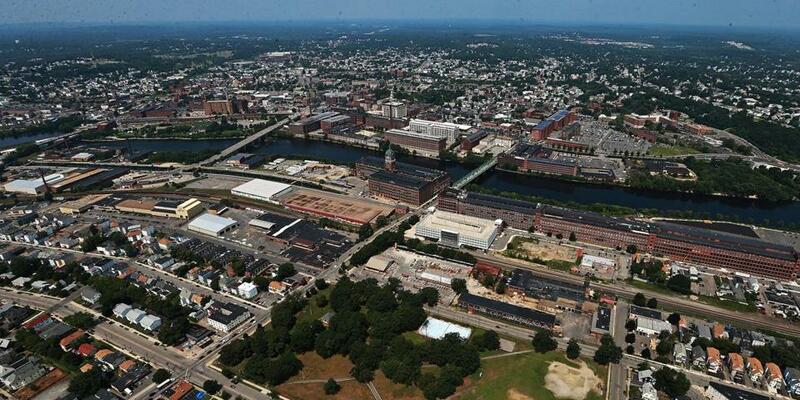 An aerial view of the city of Lawrence with mills along the Merrimack River in the middle. Lawrence doesn’t want to become a magnet for homeless people. With concentrated poverty and rampant drug problems, the last thing the Merrimack River city wants is more strain on its social service agencies. But a controversy that erupted this month over a federal homeless grant shows how policy makers in the city — like many others in Massachusetts and elsewhere — misunderstand the nature of a problem that many of them face. As of last year, there were 100 individuals living on the street and about 600 in temporary housing in Lawrence. To help the community cope, the US Department of Housing and Urban Development offered an emergency solutions grant of $136,000, which would help move some of those in need into housing. Grants were also awarded to 11 other municipalities in Massachusetts. Lowell received $170,000, while Lynn and Boston got two grants each, totaling more than a half-million dollars for the former and $2 million for the latter. Yet Lawrence City Council president Kendrys Vasquez wanted to reject the money. The funds would send “the wrong message throughout the area,” he told WBUR. “If you were homeless and you hear that any city receives $136,000, you will assume that, ‘Hey, you know, that’s sufficient for me for my needs.’ You will run where the money is,” he said. Vasquez offered no evidence to back his claim, because none exist. Using that misguided logic, “Lawrence should put up a sign advertising the fact that Boston just got $2 million to deal with homelessness,” said Philip Mangano , the “homeless czar” under former president George W. Bush and president of the American Roundtable to Abolish Homelessness in Boston. “That’s just not how homelessness works. Wiser heads prevailed at a Lawrence City Council meeting Tuesday night, and officials did end up approving the grant. But their approval came with a caveat that could yet scuttle it. City councilors voted to earmark the funds for only individuals who can show they have lived in Lawrence for one year prior to being homeless. Lawrence’s mayor, Dan Rivera, agreed with the council’s position, but it’s unclear whether such a requirement would be legal. The truth is that there’s no single path to homelessness and no reason to believe that cities can reduce the level of homelessness in their communities by limiting resources. Believing otherwise only perpetuates wrongheaded policies that make it harder for the homeless to get on the road to permanent housing.